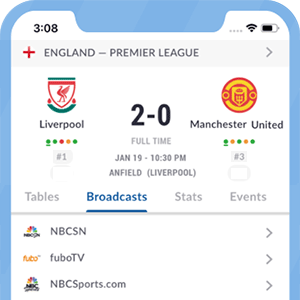 Eurosport Player allows subscribers to follow all the sporting events showing on Eurosport TV channels and more online and on their mobile devices. *Got itLive Soccer TV does not provide Eurosport Player Norway live streaming. The information provided on this page is simply Eurosport Player Norway soccer TV schedule.